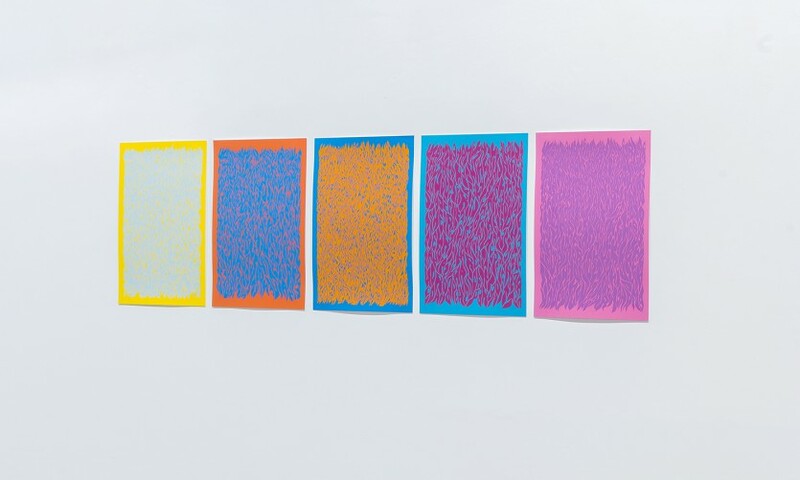 S1 Artspace is pleased to present an exhibition of new commissions and recent works by six contemporary artists curated by Kyla McDonald and Laura McLean-Ferris as part of the S1 Invites series. 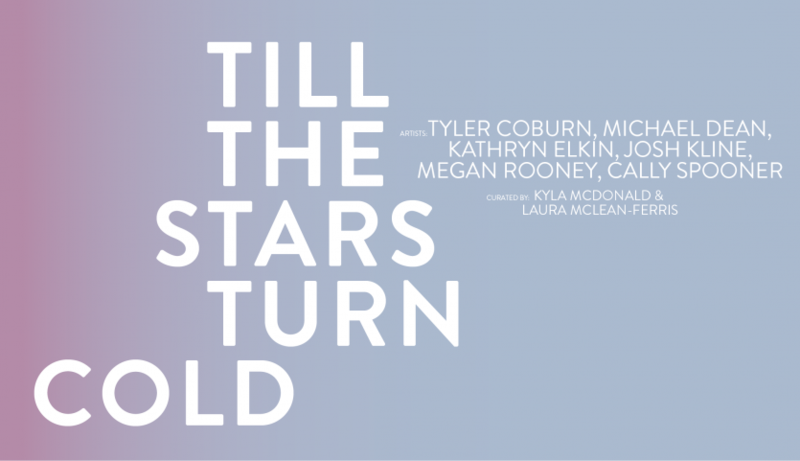 Till the stars turn cold features work by artists who display an interest in objects and bodies that carry speech: Tyler Coburn (USA), Michael Dean (UK), Kathryn Elkin (UK), Josh Kline (USA), Megan Rooney (CA), and Cally Spooner (UK). In a pivotal scene from Stanley Donen and Gene Kelly’s 1952 film Singin’ in the Rain, set during Hollywood’s transition from silent movies to talking pictures in the late 1920s, the rich warm vocal tones of aspiring actress Kathy Selden (Debbie Reynolds) are dubbed onto footage of the beautiful, yet shrill, star actress Lina Lamonte (Jean Hagen), as she delivers her line “our love will last till the stars turn cold”. The stitching of the perfect voice onto perfect image has certain shades of Pygmalion, or even Frankenstein. What is certainly clear, however, is that under the new recording regime, Lamonte has been tested and found wanting. Love triangles and musical numbers aside, the narrative is driven by a moment of crisis in which humans scramble to adjust their speech to suit a new market created by technological development. 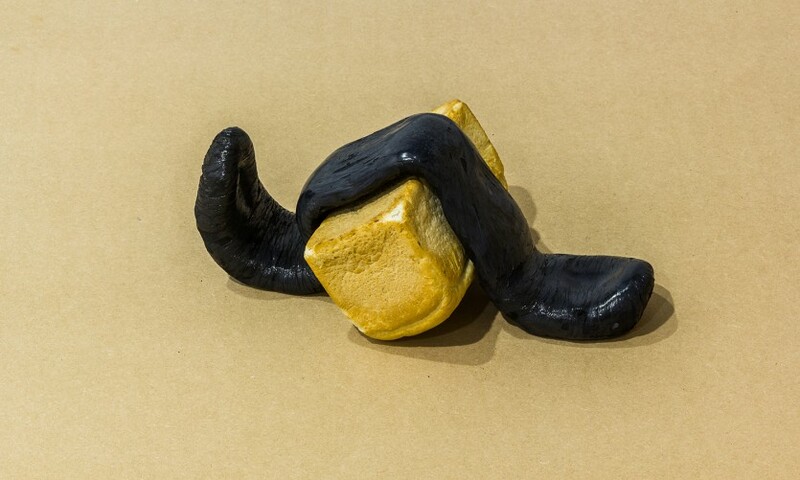 Till the stars turn cold brings together the work of six artists who are attentive to the different ways voices travel through objects, bodies, mechanisms, and situations, and to the moments of failure, breakage and slippage that reveal structural conceits and rules. 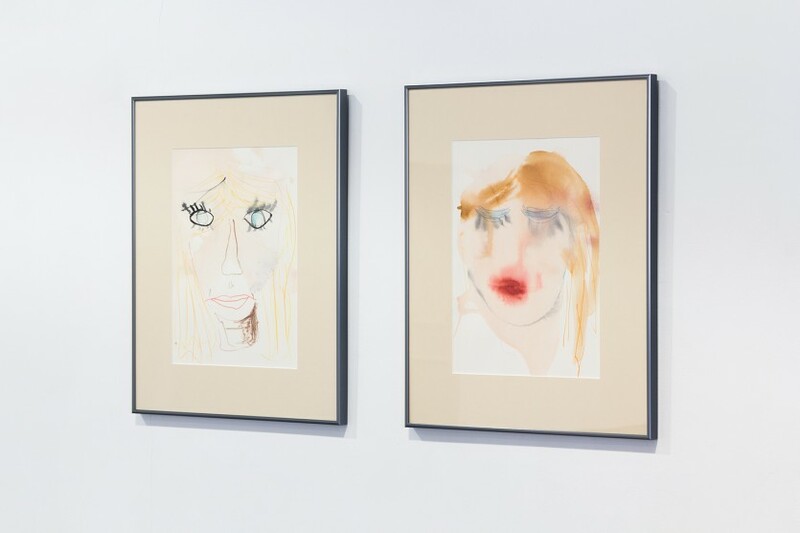 Each work variously highlights the ways in which acts of speech, public and private, respond to the particular pressures of their time. 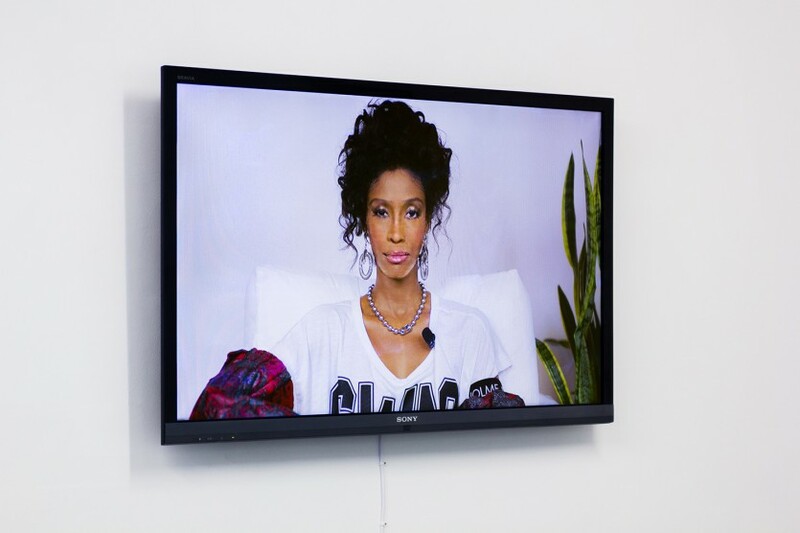 A number of historically popular figures and celebrities from mass media – who while granted a public voice often struggle with the weight of carrying it – are present throughout the show. 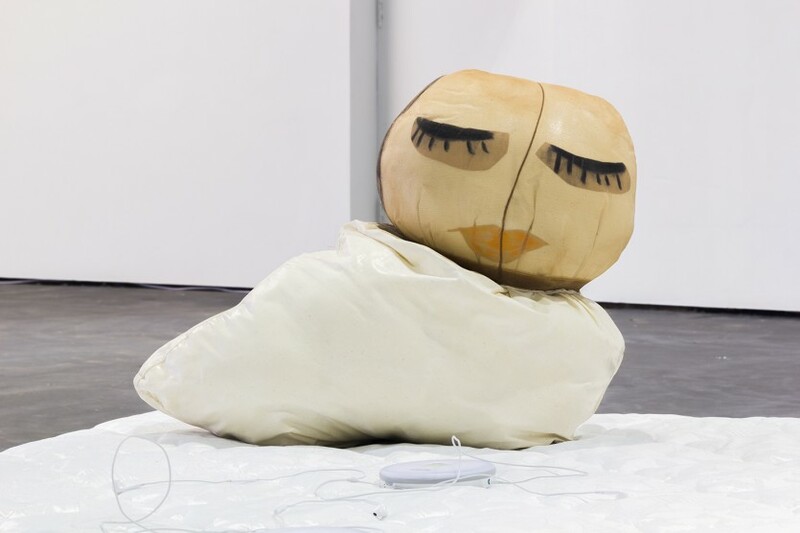 The exhibition’s focus is on irksome moments when language is disrupted: masks slip, tapes skip, words are misspelled or illegible, tongues misbehave and sentences, unfinished, are left hanging in the air. Poetic logic, confused speech, and failure to perform offer a sense of momentarily breaking with protocol, particularly in today’s over-narrated present. 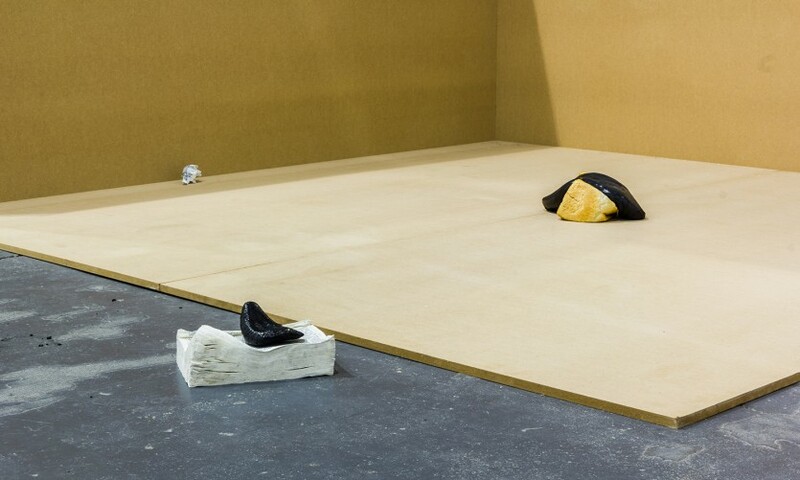 This exhibition is a partnership project with Glasgow Sculpture Studios where it will tour 24 Jan – 14 Mar 2015. It has been generously supported by Arts Council England, The Elephant Trust and The Henry Moore Foundation. Tyler Coburn (b. 1983, New York) is an artist and writer based in New York. His performances, sound works, texts and installations have been presented at the Kunstverein Munich (2014); CCA Glasgow (2014); South London Gallery (2013); Objectif Exhibitions, Antwerp (2013); Institute of Contemporary Arts, London (2012); the Whitney Museum of American Art, New York (2010); LAXART, Los Angeles (2011); and SculptureCenter, New York (2009). Michael Dean (b. 1977, Newcastle upon Tyne) lives and works in London. 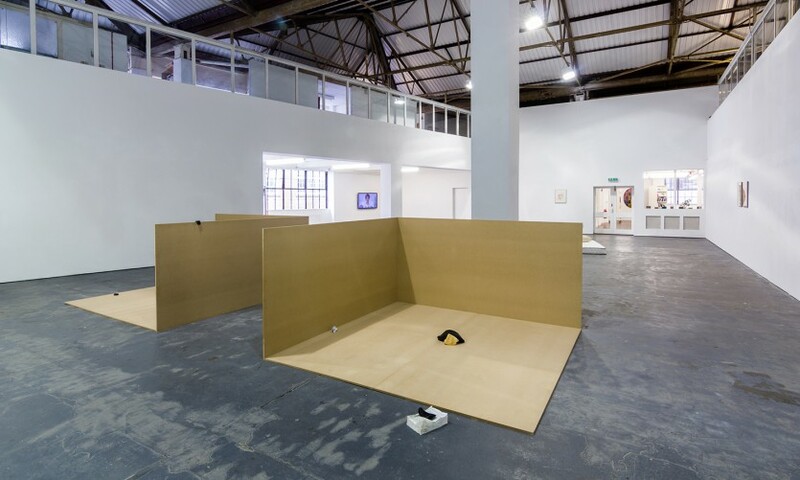 Recent exhibitions include Sharing Space, The Upper Room at David Zwirner (with Fred Sandback), London (2014); What is Real, The Hayward Gallery, London (2014); Michael Dean, The Introduction of Muscle, Arnolfini, Bristol (2013); A History of Inspiration, Palais de Tokyo, Paris (2013); thoughts, Cubitt, London (2012); Government, Henry Moore Institute, Leeds (2012);State of being apart in space, Kunstverein, Freiburg (2011) and Acts of Grass, Serpentine Gallery Pavilion, London (2011). 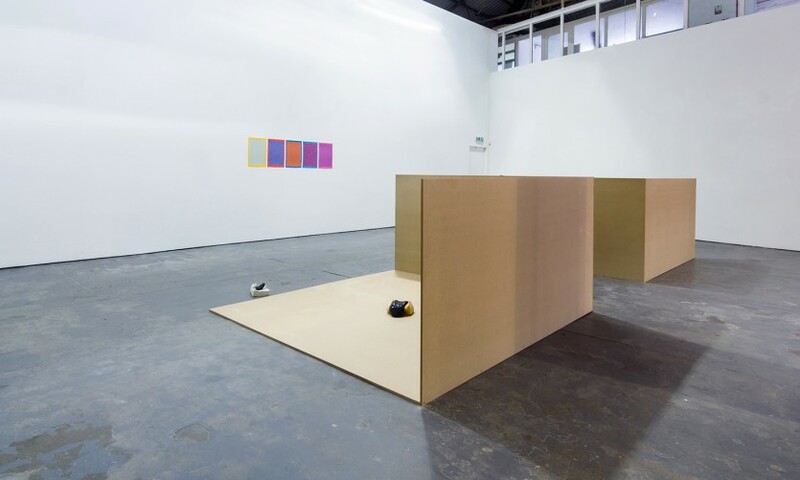 Kathryn Elkin (born 1983, Belfast) is an artist based in Glasgow, working with performance, writing and video. 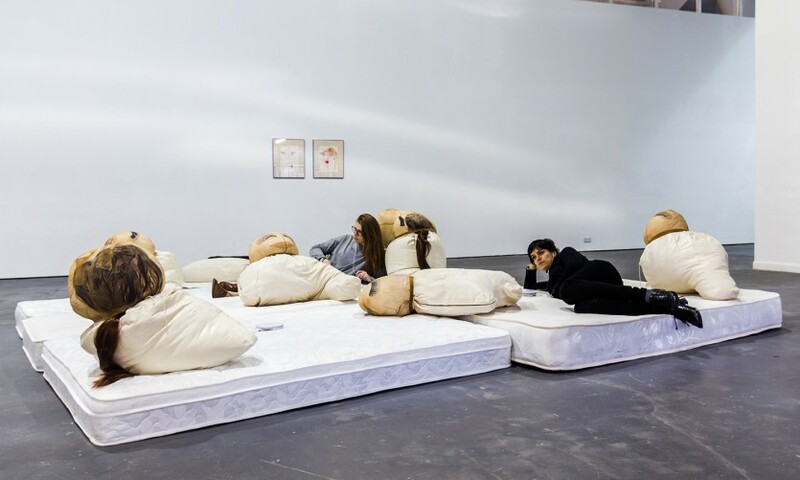 Recent exhibitions and performances include: Mutatis Mutandis, Collective Gallery, Edinburgh (2014); Speaking Art Writing, Whitechapel Gallery, London (2012); Language Most Maketh the Man, Speak That I May See You! 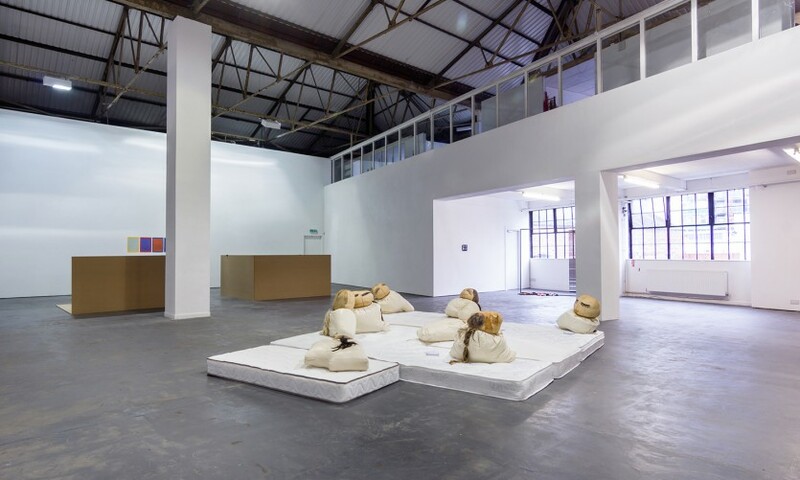 Goldsmiths College, London (2012) and Laying Down and Kissing the Love in the Mist, Kendal Koppe Gallery, Glasgow (2012). She has recently completed a new commission as part of the BBC/Lux Artists and the Archive project, Tate Modern (2014). Josh Kline (b. 1979, Philadelphia) lives and works in New York. Recent exhibitions include: ICA@50: Pleasing Artists And Publics Since 1963, Institute of Contemporary Art, Philadelphia (2014);Infinite Jest, Schirn Kunsthalle, Frankfurt (2014); Archeo, High Line, New York (2014); Quality of Life, 47 Canal, New York (2013);Speculations on Anonymous Materials, Kunsthalle Fridericianum, Kassel (2013); Out of Memory, Marianne Boesky Gallery, New York (2013) and New Pictures of Common Objects, MoMA PS1, New York (2012). Megan Rooney (b. 1986), lives and works in London. Recent exhibitions include Affluent Insights, Limazulu, London (2014); Pleasure Principles, Fondation Galeries Lafayette, Paris (2014); Der Leone have Sept Cabeças (with Quinn Latimer), CRAC, Alcace (2014); Pleasure and Charity, Sharing in the Experience, Art Gallery of Ontario (2014); Ocean Living (with Holly White), Arcadia Missa, London (2013); Baustelle Schaustelle, Essen (2013); and 0% Promise, SPACE, London (2013). 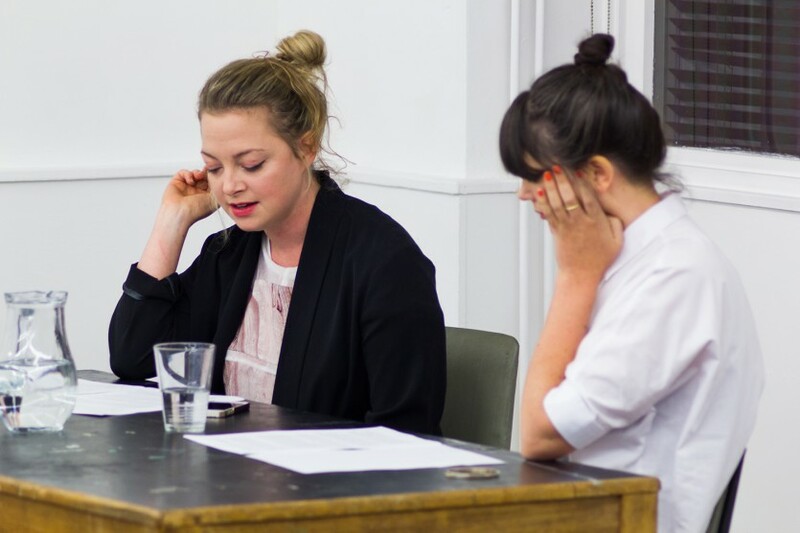 Rooney is a co-founder of artist run space Library + in London (with Paul Kneale and Raphael Hefti), and is the second artist commissioned to create a new digital exhibition space Opening Times. Cally Spooner (b. 1983, Ascot) is a writer and an artist based in London. Recent projects include: Regardless, it’s still her voice, gb agency, Paris (2014); He’s In A Great Place!, Tate Modern, London (2014); And You Were Wonderful, On Stage, Stedelijk Museum, Amsterdam (2013); Performa 13, New York (2013); Seven Thirty Till Eight, Kunsthal Charlottenburg, Copenhagen (2013); Relaunch, KW Institute, Berlin (2013) and Memory Marathon, Serpentine Gallery, London (2012). 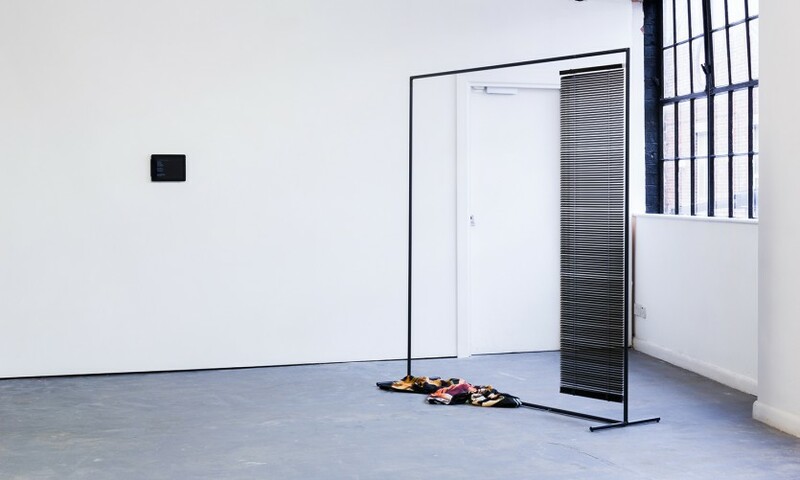 Cally Spooner is a recipient of the Paul Hamlyn Foundation Award for Artists 2013.